I was born and raised in California. I grew up in L.A., then studied and worked in San Francisco bay area. I moved to Munich, Germany, in my late twenties and have lived here for over 12 (or 13?) years now. about being a Business Founder and Owner? For me it’s about two things: meaning and freedom. A lot of the work I do on my own is just as tedious (sometimes more so!) than anything I did at a day job (processing emails, dealing with technical issues, etc.) but I know that everything I do contributes directly to my livelihood. 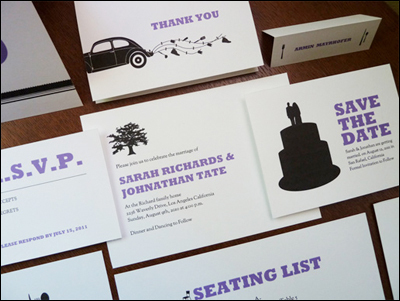 Printable wedding invitations, as fantastic as they are, are not going to change the world, but I am pretty convinced that I am part of a larger cultural movement of people that are trying to define a new way of living via entrepreneurship and living more ‘human-scale’ lives. Taking part in the Hello Etsy conference last September in Berlin really brought that home for me. you to revisit e.m.papers and evolve it? We never really got e.m.papers off the ground mostly, I think, because we were too young. I was fresh out of art school and hadn’t yet worked in the ’real world’ and wanted that experience. 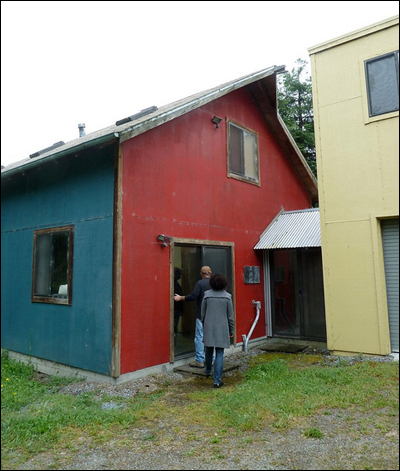 We had the idea in the mid-nineties, so the internet was just happening, and when it really got started, I got seduced into the .com world and that just seemed way more exciting than starting a traditional business, which was much more daunting then. But whenever Molly and I would see each other, we always looked back at our idea and wondered what would have happened if we had given it a go. It remained a stone unturned. Years later, when I was trying to find an exit out of my day job, I did a lot of soul searching about what I actually liked doing, wanted to do, and how I could either find or create work that felt right. There was no ‘one big thing’ I liked doing; I liked to design (but I wanted to design what I liked not what clients wanted), I loved working with the internet, I liked writing, I was methodical, structured and organized and interested in business, I liked keeping my own schedule. The idea to re-animate e.m.papers as an internet business selling download and print stationery and paper products ‘just hit me’ while on a flight in 2007. The Internet had grown into an entirely different animal. You could open an online store and set up a payment system in a couple of hours. Home printers were cheap and excellent (when I was in art school, a home color printer that you can get for 80 bucks now, cost a thousand dollars then). I enjoyed the design part, but not production, so just selling designs appealed to me and seemed like a good business model. I keep a normal 5-day a week schedule. 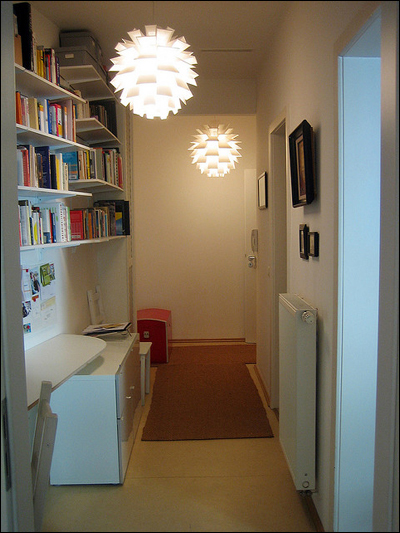 I work best alone and at home (above). I keep toying with the idea of getting a workspace or finding some sort of co-working arrangement, but with the extra overhead and commute time, it just doesn’t make sense. When you’ve got your own business, work bleeds into every hour of your life. I generally try to keep a 9:00a–6:00p schedule and not work on weekends, but that doesn’t always work out so well! How do you get the word out about e.m.papers? I started out with a slow and steady campaign of writing to bloggers, which worked nicely. 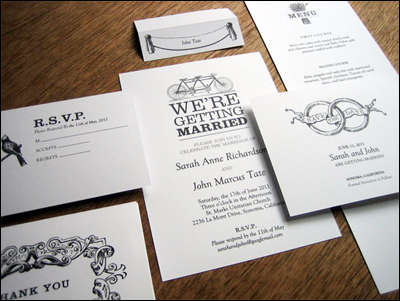 I created a free wedding set, mostly as a proof of concept, which went viral and really helped get the word out. I got a feel for which blogs my ideal customer hangs out at and started advertising and guest posting on them. I’ve also built a pretty robust customer mailing list and list my products on multiple online venues (Etsy, Dawanda, Wedzu, etc.). I recently had a product featured in BRIDES Magazine, so I am starting to leverage that in PR efforts, as well as build a referral engine by reaching out to wedding planners directly with sample books, etc. Collaboration and partnering have also been helpful. 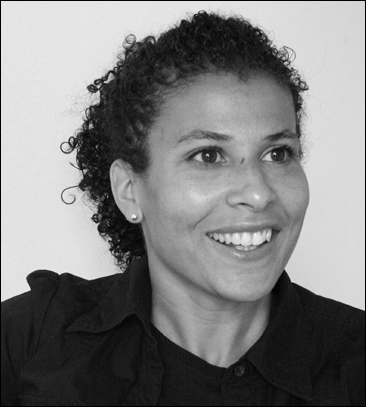 I’ve started collaborating with a fellow Munich expat Stephanie Levy, and we promote each other’s work which doubles the power of our individual networks. I’ve also partnered with Glö, an online wedding invite service, providing matching e.m.papers templates for websites and flash-based invitations and that has widened both e.m.papers’ and the Glö’s customer bases. Finally, word-of-mouth and great customer service. I really bend over backwards to make my customers happy. Most people getting married know other people getting married. When someone sends out a wedding invitation, it’s like 50 little advertisements for e.m.papers. If the customer had a great experience, she will tell everyone about it. A good chunk of my business this year has come from people who came in contact with my work while attending a friend’s wedding. For eCommerce: I have been very happy with Joomla using the Virtuemart eCommerce plug-in. Our main requirements for e.m.papers were a really robust CMS and eCommerce platform that handles a large product catalog, internationalization and downloadable products, which Joomla does quite well. For collaboration: I am a big 37signals fan, so Basecamp was the obvious choice. So far, so good. I’m also really trying to be disciplined about process documentation, so finding a project management collaboration tool with an exportable wiki was a must. Finding Freelance help: We have used oDesk to find freelancers which has been helpful, but of course, like everything, you get what you pay for. DropBox has been invaluable and great for file sharing and collaboration. 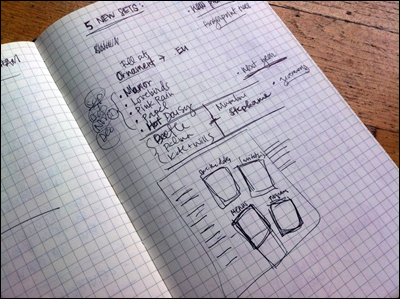 I keep a Moleskine journal which usually contains a jumble of business ideas, concept sketches and to-do lists (above). 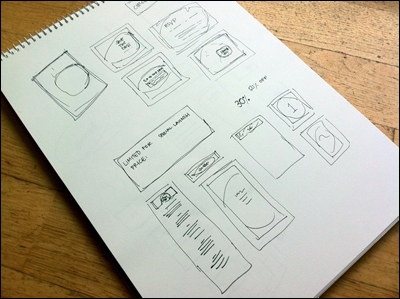 When I need to flesh out an entire design suite, I’ll use a sketch pad (below). Most of the time, though, I go straight to the computer and print designs out to see how they look and then iterate. There is nothing like running your own business to make you ruminate and think deeply on the nature of time, mostly that there isn’t enough of it! I have a pretty robust project and time management system, which I developed through learning about project management at my old job and my own experience. My system has also been heavily influenced by a book called Take Back Your Life by Sally McGhee which I understand is based on GTD. Having a really good grip on planning, project and time management has been critical in getting e.m.papers off the ground. For that I am thankful for all my years working at my last company where I got a solid education in those skills, which I don’t believe I could have gotten anywhere else. In fact, that’s what my workshop at Hello Etsy was about and it’s taken on a life of it’s own with a new project called Steal This Process which helps indie business owners understand project and time management. Being the captain of my own ship and seeing my venture grow. There is something really gratifying about starting from nothing and building something. It’s a bad analogy but I feel like Dr. Frankenstein, pulling on levers and watching my creature come alive... Like I said, bad analogy, but you get the idea! Every time I get a nice piece of feedback from a customer, it still surprises me by how good it feels, and how grateful people are. And of course the freedom. I love being able to do whatever I want, and answering to no one. Yes, production. I am a big-picture person and really, really hate dealing with the details. I realized halfway into this that creating a massive product catalog and several eCommerce platforms means all of it also has to be maintained. I really enjoy designing, but converting that design into 24 templates for two different ISO paper sizes and then uploading them across 5 online stores with search-engine optimized product copy in two different languages is NOT my idea of fun. The way I’m dealing with this is by starting an E-Myth Revisited-style documentation of every single business process so I can outsource the things that I don’t enjoy, are time intensive and that I’m not particularly good at. In fact, I’ve just hired some production help this week. Leisure and idle time. Sometimes I have to force myself to take it, but having a well-rounded life: cooking, visiting with friends, traveling, gardening, enjoying all the cultural delights that my city (Munich) has to offer, keeps my creative tank full. Living in Europe has really helped me learn that. I had the great pleasure of getting to meet Tom Hodgkinson, who publishes The Idler magazine, and was a fellow speaker at the Hello Etsy conference. He gave a fantastic and hilarious talk on the necessity and power of idle time in both running a small business and the creative process. I have also found that giving myself 30-day challenges has been helpful. 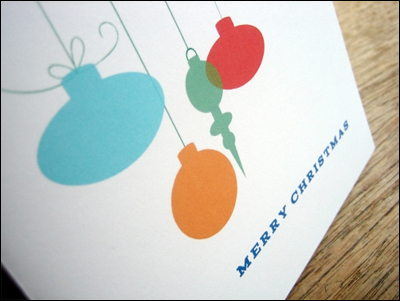 When I get too bogged down in business and marketing stuff and forget about creating, I’ll give myself a design challenge for 30 days, like coming up with one invitation design or Christmas card a day. A good 70% of these designs don’t make it into the store, but there are always a few that work out nicely and also test well. I have a love-hate relationship with the Internet. On the one hand, there is so much good stuff to see, but I worry that it’s just too hard to not let things that I’ve seen creep into my own work. Again, I think getting out into the city, walking, getting away from the computer goes a long way towards reigniting the creative flame. 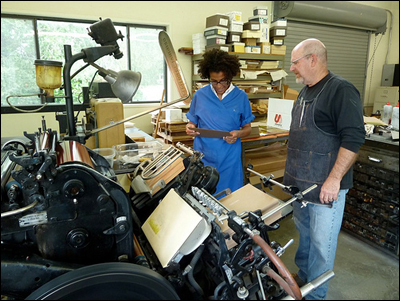 I also enjoy snooping around in My Dad’s shop located in Sebastopol, California. 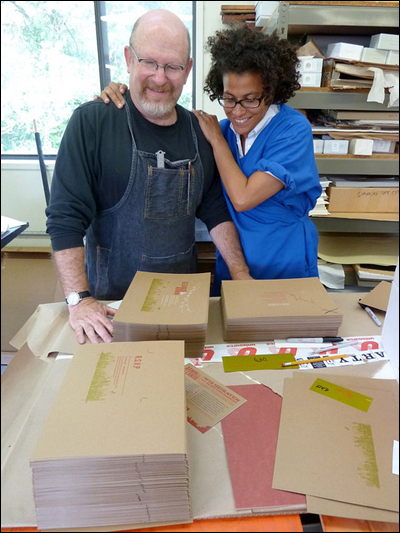 He’s a letterpress printer and I grew up in his print shop (above). There are always interesting bits of paper, projects or broadsides that he’s working on to get inspired by. Last summer he showed me his collection of printed dingbat and ornament samples which I immediately lifted to scan and use for my ‘internet thing’, as he put it. I didn’t fall in love with Munich right away, but once I did, I fell hard. Munich is a very replenishing place to live. You have all of the amenities of a city, but it is very green and very liveable. The access to nature is outstanding. Our apartment building is literally on the Isar rivar, which people can swim in, and the Alps are under an hour away. Munich does not have the frenetic energy of Berlin, New York or London but it is calming. It is a place that has a strong design scene and encourages hard work and accomplishment (Bavaria, where Munich is located is the the economic engine of Germany, which is the economic engine of Europe), but it is also referred to as the most northern city in Italy. Living the good life; good food, good wine, leisure is also fully encouraged. Lots of street cafés, beer gardens and long, lingering meals with friends typify life here. A great very short film from Monocle magazine sums it up nicely. What are ways for people to learn about e.m.papers? Probably the best way is through my blog or my newsletter, which you can sign up for on the blog. Just get started. Don’t get hung up on trying to find the perfect thing, find something you like enough and run with it. I can’t emphasize that enough. You may start with one idea and find you don’t like it, but that will lead you to something else. It pains me every time I hear people talk about their ideas but never take any real steps to get something—anything!—produced or built. I want to grab them by the shoulders and give them a good shaking. Life is so short and there are opportunities now, like never before, to make your thing happen. I would temper that by saying that if you are looking to quit your job, start your thing on the side. It took me two years of experimenting with my business in my spare time before I started making any money. It’s a lot of work (there is no such thing as a 4-hour work week!) and certainly not a path to guaranteed riches, but it is a way to create an invigorating, meaningful life, and so totally worth it. All photographs courtesy of Eleanor Mayrhofer. To learn more about the organizational method Getting Things Done (GTD), read this Interview with Digital Media Project Manager Steve Dale. 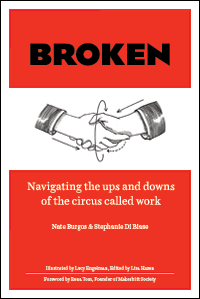 Now available – BROKEN: Navigating the ups and downs of the circus called work! Buy now.